Summerhall favourites Puppet Beings Theatre combine traditional Taiwanese puppet arts with the use of contemporary everyday objects, allowing adults and children to exert their imaginations. 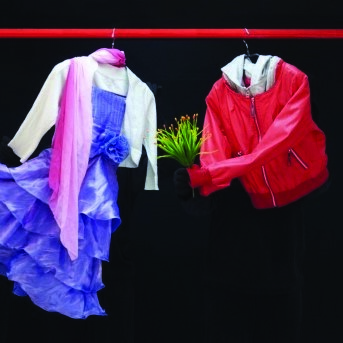 In The Backyard Story, a red balloon breathes life into clothes that have been hung out to dry by two women. Let your imagination run free as the jackets, shirts, dresses and trousers make friends and form relationships, reflecting those between parents, children and others. When you get home, can you make your clothes come to life like these?